Find a vacation home to rent in Hjo Municipality from our list of vacation rental properties. Campaya has over 3 vacation homes available in Hjo Municipality, which give you the possibility to locate a unique accommodation in Hjo Municipality which completes your check-list in search for the perfect self catering vacation apartments in Hjo Municipality or vacation villas in Hjo Municipality. This wooden holiday home is located near the resort Hjo, where there is also a heated swimming pool. This region is culturally and historically interesting with many attractions. The house enjoys a fantastic location in Hjo, in Västergötaland. 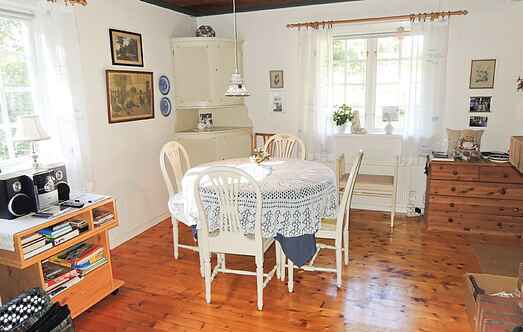 It is located on a small river, with panoramic views of the lake Mullsjön. A boat for fishing is included.